The TODAY meteorologist emerged after spending the past several days confined to her hotel room. The flu doesn't care if you're at the Olympics! 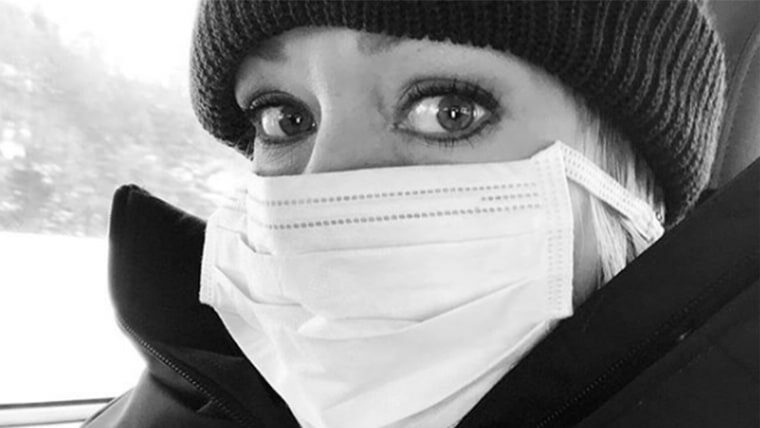 Dylan Dreyer headed to South Korea a week ahead of her fellow TODAY anchors to help cover the Pyeongchang Winter Games — only to find herself days later confined to her hotel room as one of the latest victims of the severe flu season breaking records. Thankfully, after taking some time off to regain her strength, she's now "back and running," she noted Monday on social media. But it was quite the bummer after a fun start to her trip to South Korea. Her first social media post from the nation came on Feb. 4, showing off some of foods she discovered and the people she met on the way to Pyeongchang. She also posed, of course, the obligatory photo showing her sitting inside the Olympic rings. But proving that the flu can find you no matter where you are in the world, Dylan noted she had been "quarantined" in a post showing herself with a surgical mask. She recovered inside her hotel room, along various packages of medication, bottles of hydrating fluids and a “Calvin pillow" to provide her some comfort from home. She also had some great colleagues who dropped off a recovery-related care package outside her hotel door. At least she had plenty to watch on television while recovering, including the team figure skating competition Sunday night. All that must have helped. The following morning, Dylan posted a photo of herself looking revived and "about 70 percent" back to normal. "Love you all and thank you for your well wishes and kind words while I was sick with the flu. I’m not 100% but I’m back up and running...slowly. #imbaaaaack #imatabout70percent #notmessingaroundwiththisflu," she wrote in a post. Hope you're feeling back at 100 percent soon, Dylan!